From I-81, take Exit 146 (Hollins exit) to Plantation Rd. (From I-81 S, turn left, from I-81-N, merge right onto Plantation). Drive 6.9 miles to Hershberger Rd (a Liberty gas station will be on your right), and turn right onto Hershberger Rd. 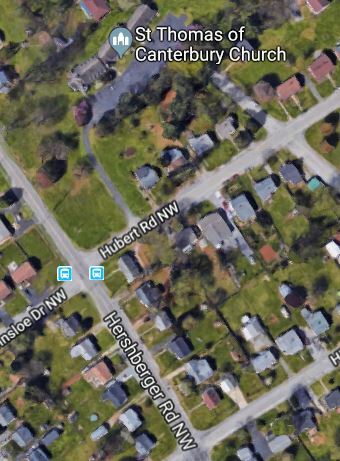 Drive 0.9 miles on Hershberger to Hubert Road on your right. You will see the Church sign before the street name.